WWE is advertising an NXT Championship rematch for TakeOver: Phoenix. NXT Champion Tommaso Ciampa defending his title against Aleister Black has been announced for TakeOver: Phoenix. This will be Black's rematch for the title after dropping it to Ciampa in July. Ciampa vs. Black vs. Johnny Gargano had originally been scheduled for TakeOver: Brooklyn in August, but Black was forced out of the match due to injury. An in-ring promo segment continuing that three-way feud aired on tonight's episode of NXT. Black confronted Ciampa and said he was invoking his rematch clause for a title match at TakeOver: Phoenix. Gargano then came out and told Black that he was getting ahead of himself and things between Black and Gargano aren't over yet. The segment led to Ciampa goading Black and Gargano into agreeing to face each other in a steel cage match. Black also laid out Ciampa with Black Mass. 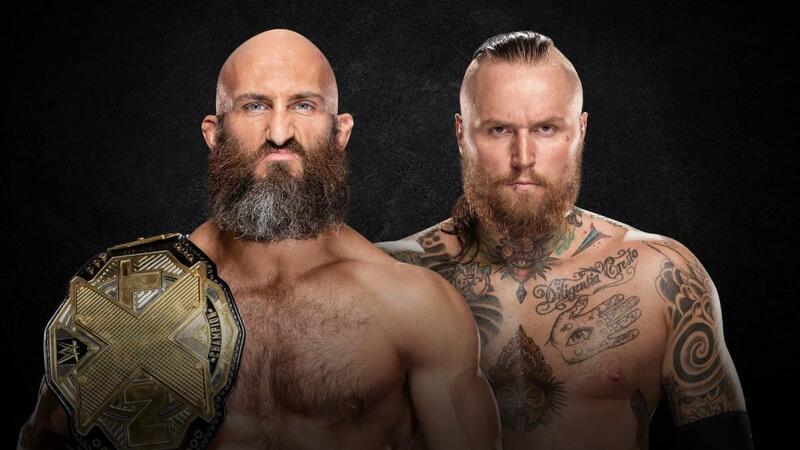 WWE then had William Regal send out a tweet announcing the Ciampa vs. Black title match for TakeOver: Phoenix and Black and Gargano's steel cage match for the December 19 episode of NXT: "@WWEAleister will face @ProjectCiampa at #NXTTakeOver Phoenix for the #NXTChampionship! And to square things away, @JohnnyGargano and @WWEAleister will get their matters settled in a #SteelCage Match in two weeks!" Whether or not the storyline will result in Gargano being added to the TakeOver title match remains to be seen. Ciampa vs. Black is the first match to be publicly announced for TakeOver: Phoenix, though a fatal four-way match to determine the challenger for Shayna Baszler's NXT Women's Championship took place at the last set of NXT television tapings. That four-way match will air on December 26. TakeOver: Phoenix is taking place at the Talking Stick Resort Arena on January 26, 2019, which is the Saturday of Royal Rumble weekend.